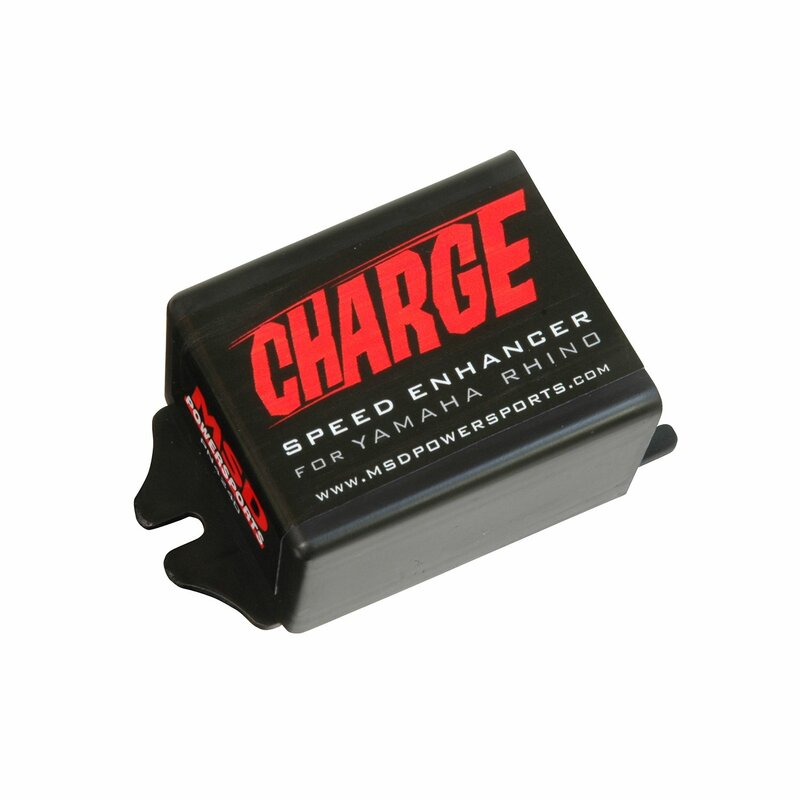 The Charge is a direct plug-in module that'll take less than 10 minutes to install - that's 10-mph in 10 minutes! It's all about ripping through a desert arroyo or charging across an open field with your Rhino at full tilt. After all, this is why you have a Rhino. To escape the day to day, the pavement and cell phones. It couldn't get much better – but it could get faster! The MSD Charge will give your Rhino 10 mph! What's better than that? How about the fact that the Charge is a direct plug-in module that'll take less than 10 minutes to install - that's 10-mph in 10 minutes! Now get back to the trails. MSD makes it easy to enhance the speed and performance of your fuel injected Yamaha Rhino!